I bring this up in view of the fact that I don’t find his music, nor that of the opener, Jonny Two Bags, particularly interesting or appealing. And yet there was undeniably some kind of intrigue acting upon me as I stood, sat, and lounged at the Observatory this past Wednesday night. 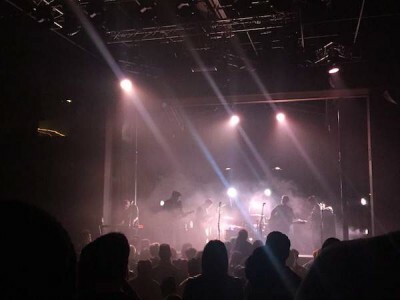 I’ve since concluded that this intrigue of which I speak has to do with the fact that while the music of these bands neither reinvents the wheel, nor uses the old one especially well, the attention to sound mixing, lighting, song structure, and stage presence still made me feel excited to be alive. Which is all I ask from a concert, really. After I got home from the concert, I was surprised to find the specific reason why opener Jonny Two Bags and his bandmates were such utterly competent musicians: Jonny “2 bags” Wickersham is the current guitarist of Social Distortion. “Surprised” because his solo material is only vaguely, distantly reminiscent of the songs I know from Social Distortion. Which, granted aren’t very many, but still. It’s not every day you see a punk rock musician dip his toes in the comparatively softer, more sentimental world of Americana. Anyways, back to my point. Being part of such an established, household name undoubtedly comes with access to utterly competent musicians, as well as the probability that you are a talented person yourself. Which he is, I assure you. Mr. Two Bags and co. breezed through their set with easygoing confidence and consistently enthused energy. The songs sounded full and practiced, the solos were tastefully played, no one on stage or in the crowd seemed bored, the bassist even went the extra mile and really got down with himself (seriously, he brought a fun energy to the set with his funky swagger), and their light show was uncharacteristically thought out for an opening band. However, and there most definitely is a “however,” I couldn’t but feel like the whole ordeal was playing it safe. All the elements were there to ensure that no one could be upset, but they also seemed to ensure that no one really feels inclined to buy a CD from the merch booth. Not that honest, self respecting people still buy those ridiculous things anymore anyways, but that’s not the point. The guitars sounded solid, but not great. There were colorful moving lights, but it eventually became repetitive and basic. The sound mixing was professional, but the notes felt borrowed. The concert was all atmosphere, no real substance. There was just no wow factor for me. There was a slightly more than lukewarm approval factor, most definitely. But as for breaking out as a popular, influential band, I just don’t see it. Sorry, Jonnyboy. However, I just want to conclude with the recognition that not every band necessarily needs to set out on a quest to redefine a genre. Sometimes people just want to write or hear solidly produced and competently played music, and I totally get that. So if you’re at all interested in something that sounds like a more mainstream, less post-modern Wilco, I encourage you to go give it a listen. 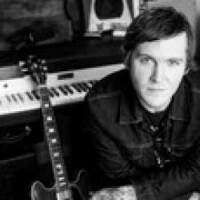 As you might have deduced already, I really wasn’t expecting much as I stood waiting for Brian Fallon to take the stage, fresh from my in-between-sets-bathroom-break/water bottle refill. I am by no means trying to say that the four songs I heard from his Spotify account before the concert were objectively bad. I don’t even think that’s artistically possible. All I’m saying is that I typically enjoy music that looks more towards the musical tone, experimentation, and general heyday of the 60’s/70’s. And although Fallon himself jokes about his constant comparisons to Springsteen, his music comes across more like it came from Springsteen’s fictional younger brother, born in 1985 with a musical agenda that has much less to do with changing the face of rock and roll, and much more to do with sitting comfortably within the confines of competent rock, without roll. And again, there’s nothing wrong with sitting comfortably anywhere. I totally get comfort. I just think that a comfortable artist is paradoxical by nature. Not that artists are supposed to be stressed out all the time. I just think that if artists are going to dedicate their role in society to the entertainment of others, should not they try to bring something new to the table any and every chance they get? Where’s the joy in derivation? I think these words have more to do with popular music in general than it does with Fallon or Two Bags. Still, it doesn’t not apply to them… right? The songs were by all means remarkably decent. Do you see how these words work together to establish a wholeheartedly positive sentiment that is immediately undercut with neutrality and maybe even a little indifference? Well that is because once again, the songs were not the ingredients for dreams. But they definitely weren’t the stuff of nightmares, either. You see what I’m getting at. But you know what? I will say this, mostly because I feel like I’ve been a little harsh so far: everything besides the quality of the music itself was pretty “tops,” as they say. To begin with, the variations in song genre/texture/mood happened to meet my obviously pretentious standards of musical exploration. He went from Springsteen-esque crooners, to grungy, dirty, country blues, to soft and melancholic country folk, to pop punk, etc. This guy was all over the place. Hence the “remarkable” at the beginning of this paragraph. 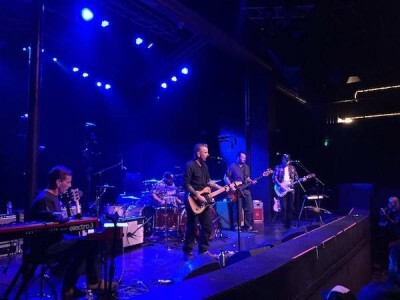 At one point, the drummer even left, leaving four guitars, two of them twelve-string, and a bass on stage to handle the sound making on their own. Now that there’s what texture’s all about, baby. My ears were indeed filled with a gloriously encompassing wall of sound. I just wish they had used better bricks. Oh and I should also mention that the lighting/stage fog combo was also consistently, pretty damn great. The whole show really made me appreciate being not blind. And I don’t say that… lightly. In an effort to wrap this up and get you back to doing whatever it is you’re supposed to be doing right now, I’ll bang out this conclusion real quick like. 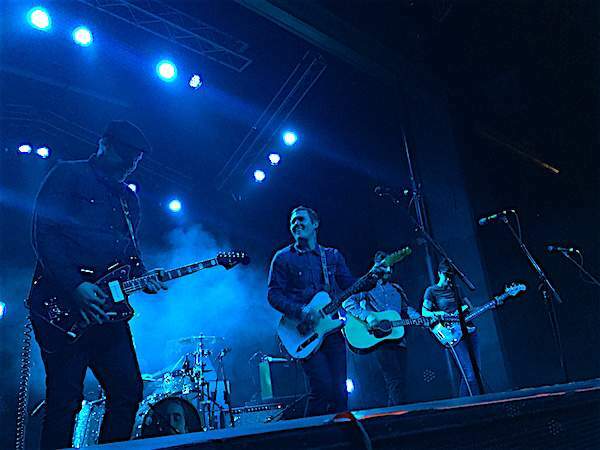 Brian Fallon and Jonny Wickersham both have talent and good tech crews, there’s no doubt about it. I see it, you hear it, it’s there. But just because they can play instruments and put on a good show, doesn’t mean I have to like their music. But it also doesn’t mean you have to listen to a jaded elitist like me. If you like Gaslight Anthem, you’ll probably like Fallon’s solo stuff. If you like Social Distortion, you’ll probably be confused by Wickersham’s solo stuff. At first. And then probably like it. And that’s because they both make objectively good music. I just prefer my music to be subjectively great.